Osborne Park, WA : UBD, c2002. | 45th Ed. Map data: Scale chiefly 1: 20 000. Key map on front end papers. Commonly referred to as: UBD Perth street directory. 1 atlas (111, 584? p.) : col. maps ; 27 cm. Roads -- Western Australia -- Perth -- Maps. Roads -- Western Australia -- Perth Region -- Maps. Streets -- Western Australia -- Perth -- Maps. 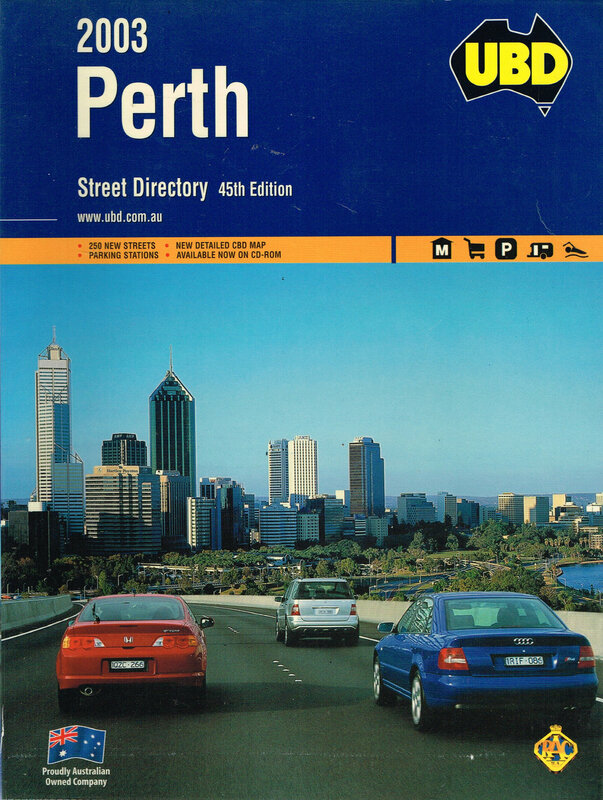 Streets -- Western Australia -- Perth -- Directories. Perth (W.A.) -- Suburban area -- Road maps.